The SP80DS is an 80-ton drop side deck trailer with a detachable rear frame. The detachable gooseneck is the powerful, yet light weight ram foot style. It can lift the load placed anywhere on the deck. 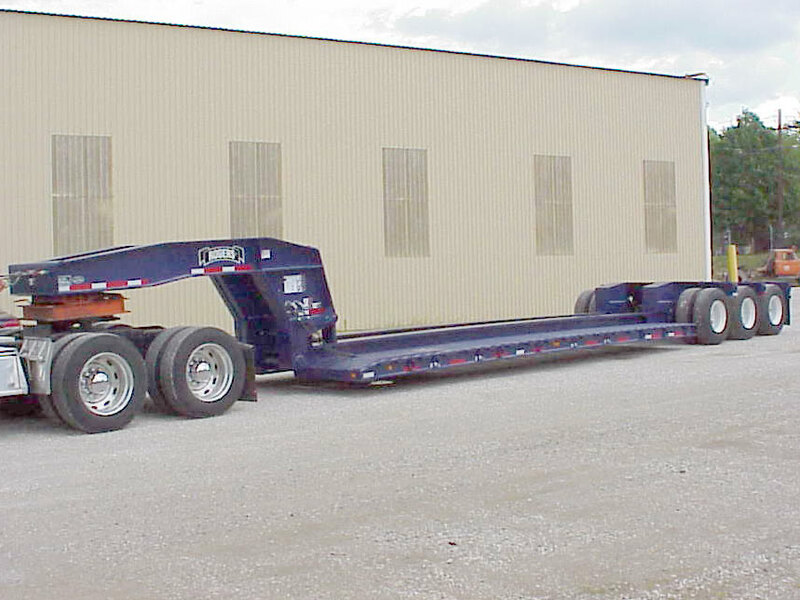 This trailer is 10'-0" wide and includes a US DOT-approved rear impact guard and a 3rd tail light package on the rear channel.